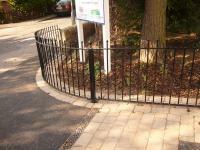 Looking for a Handrails, Canopies, Metal Balustrades or Wrought Iron Railings? Far from the impersonal and functional-only handrail Artistry has created handrails which combine regulation with taste and attractiveness. From neat lines and asymmetrical forms to soft, curving handrails which are designed to blend seamlessly into the background, the selection of handrails on offer from Artistry is sure to complement every landscape. Artistry are experts at metalworking and structural steelwork and so, using their skill, are able to craft strong, reliable handrails. 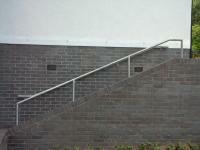 Artistry has supplied handrails on a nationwide scale and has therefore earned the hallmark of quality as a result. 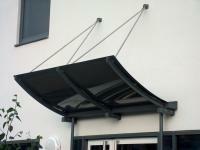 When looking for the ultimate finish to an entrance, canopies should be seriously considered. A canopy so perfectly frames a doorway and creates a feeling of individuality. Artistry have been making bespoke canopies for a number of years and use mild and stainless steel materials to produce a versatile range of canopies. 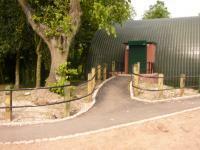 The use of toughened safety glass windows can result in a canopy which conveys a light, comfortable impression. 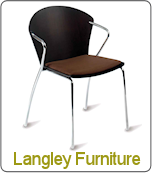 Alternatively sleek steel and iron work canopy makes a modern and bold statement. For the answer to clever canopy choice, peruse Artistry’s previous successful projects in canopies. 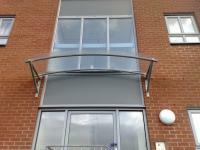 There is a vast and versatile choice when it comes to metal balustrades. Every requirement can be satisfactorily met as can be seen from Artistry’s many previous metal balustrade commissions. For example, following a destructive fire Ashton Market needed a temporary construction including metal balustrades. 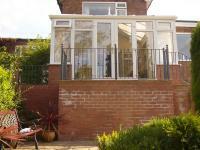 Artistry rose to the occasion providing suitable, secure balustrades. When it comes to style though, there is no shortage of fine crafted, decorative metal balustrades available. A popular choice is the bowed balustrade, comprising of twisted wrought iron, a beautiful complement to most family homes. The Essex balustrade too is a stylish addition to any private residence, providing clean lines and a modern feature to a building. 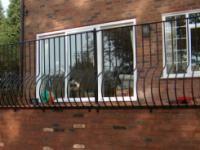 As for professional, permanent metal balustrades Artistry have proven themselves more than capable to fill the need. The stunning Eastgate Market walkways in Bristol display a metal balustrade which harmonizes perfectly with the surrounding gardens. 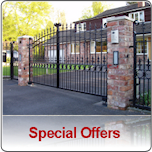 Wrought iron railings have always been a popular and attractive option. For a private residence wrought iron railings also provide reliable security with the benefit of not feeling too imposing. Artistry is able to create the perfect railing for any individual home. 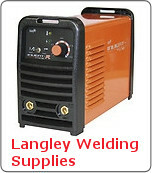 The wrought iron is moulded in harmony with Artistry’s knowledge and experience. No building would be complete without the functionality and finishing of a quality-crafted wrought iron railing.